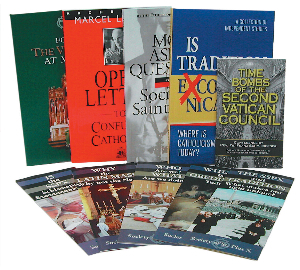 From books to flyers, the USA District Office offers various apologetic items that explain Catholic Tradition and the SSPX. Our NTT kit makes an excellent introduction to Catholic Tradition and the SSPX. The SSPX and Tradition: What makes our fight unique? Why the Latin Mass; Why not the New?